A SEP can be set up as late as the due date (including extensions) of your income tax return for the tax year for which the SEP is to first apply. That means you can establish a SEP for 2018 in 2019 as long as you do it before your 2018 return filing deadline. You have until the same deadline to make 2018 contributions and still claim a potentially substantial deduction on your 2018 return. Generally, other types of retirement plans would have to have been established by December 31, 2018, in order for 2018 contributions to be made (though many of these plans do allow 2018 contributions to be made in 2019). To set up a SEP, you just need to complete and sign the very simple Form 5305-SEP (“Simplified Employee Pension — Individual Retirement Accounts Contribution Agreement”). You don’t need to file Form 5305-SEP with the IRS, but you should keep it as part of your permanent tax records. A copy of Form 5305-SEP must be given to each employee covered by the SEP, along with a disclosure statement. Although there are rules and limits that apply to SEPs beyond what we’ve discussed here, SEPs generally are much simpler to administer than other retirement plans. Contact us at 508-888-2000 with any questions you have about SEPs and to discuss whether it makes sense for you to set one up for 2018 (or 2019). 1. No more personal exemptions; For 2017, taxpayers could claim a personal exemption of $4,050 each for themselves, their spouses and any dependents. For families with children and/or other dependents, such as elderly parents, these exemptions could really add up. For 2018 through 2025, the TCJA suspends personal exemptions. This will substantially increase taxable income for large families. However, enhancements to the standard deduction and child credit, combined with lower tax rates and other changes, might mitigate this increase. 2. Nearly doubled standard deduction; Taxpayers can choose to itemize certain deductions or take the standard deduction based on their filing status. Itemizing deductions when the total will be larger than the standard deduction saves tax, but it makes filing more complicated. For 2017, the standard deductions were $6,350 for singles and separate filers, $9,350 for head of household filers, and $12,700 for married couples filing jointly. The TCJA nearly doubles the standard deductions for 2018 to $12,000 for singles and separate filers, $18,000 for heads of households, and $24,000 for joint filers. For 2019, they’re $12,200, $18,350 and $24,400, respectively. (These amounts will continue to be adjusted for inflation annually through 2025.) For some taxpayers, the increased standard deduction could compensate for the elimination of the exemptions, and perhaps provide some additional tax savings. But for those with many dependents or who itemize deductions, these changes might result in a higher tax bill — depending in part on the extent to which they can benefit from enhancements to the child credit. 3. Enhanced child credit; Credits can be more powerful than exemptions and deductions because they reduce taxes dollar-for-dollar, rather than just reducing the amount of income subject to tax. For 2018 through 2025, the TCJA doubles the child credit to $2,000 per child under age 17. The TCJA also makes the child credit available to more families. For 2018 through 2025, the credit doesn’t begin to phase out until adjusted gross income exceeds $400,000 for joint filers or $200,000 for all other filers, compared with the 2017 phaseout thresholds of $110,000 and $75,000, respectively. The TCJA also includes, for 2018 through 2025, a $500 credit for qualifying dependents other than qualifying children. Not-so-ancient history; Until the 2016 tax year, the filing deadline for partnerships was the same as that for individual taxpayers: April 15 (or shortly thereafter if April 15 fell on a weekend or holiday). One of the primary reasons for moving up the partnership filing deadline was to make it easier for owners to file their personal returns by the April filing deadline. After all, partnership (and S corporation) income passes through to the owners. The earlier date allows owners to use the information contained in the pass-through entity forms to file their personal returns. For partnerships with fiscal year ends, tax returns are now due the 15th day of the third month after the close of the tax year. The same deadline applies to fiscal-year S corporations. Under prior law, returns for fiscal-year partnerships were due the 15th day of the fourth month after the close of the fiscal tax year. Avoiding a tragedy; If you haven’t filed your calendar-year partnership or S corporation return yet and are worried about having sufficient time to complete it, you can avoid the tragedy of a late return by filing for an extension. Under the current law, the maximum extension for calendar-year partnerships is six months (until September 16, 2019, for 2018 returns). This is up from five months under the old law. So the extension deadline is the same — only the length of the extension has changed. The extension deadline for calendar-year S corporations also is September 16, 2019, for 2018 returns. Whether you’ll be filing a partnership or an S corporation return, you must file for the extension by March 15 if it’s a calendar-year entity. Extending the drama; Filing for an extension can be tax-smart if you’re missing critical documents or you face unexpected life events that prevent you from devoting sufficient time to your return right now. But to avoid potential interest and penalties, you still must (with a few exceptions) pay any tax due by the un-extended deadline. There probably won’t be any tax liability from the partnership or S corporation return. But, if filing for an extension for the entity return causes you to also have to file an extension for your personal return, it could cause you to owe interest and penalties in relation to your personal return. We can help you file your tax returns on a timely basis or determine whether filing for an extension is appropriate. Contact us today at 508-888-2000 or info@fjhcpa.com. Generally, a federal gift tax return (Form 709) is required if you make gifts to or for someone during the year (with certain exceptions, such as gifts to U.S. citizen spouses) that exceed the annual gift tax exclusion ($15,000 for 2018 and 2019); there’s a separate exclusion for gifts to a noncitizen spouse ($152,000 for 2018 and $155,000 for 2019). Also, if you make gifts of future interests, even if they’re less than the annual exclusion amount, a gift tax return is required. Finally, if you split gifts with your spouse, regardless of amount, you must file a gift tax return. The return is due by April 15 of the year after you make the gift, so the deadline for 2018 gifts is coming up soon. But the deadline can be extended to October 15. Being required to file a form doesn’t necessarily mean you owe gift tax. You’ll owe tax only if you’ve already exhausted your lifetime gift and estate tax exemption ($11.18 million for 2018 and $11.40 million for 2019). If required, a federal estate tax return (Form 706) is due nine months after the date of death. Executors can seek an extension of the filing deadline, an extension of the time to pay, or both, by filing Form 4768. Keep in mind that the form provides for an automatic six-month extension of the filing deadline, but that extending the time to pay (up to one year at a time) is at the IRS’s discretion. Executors can file additional requests to extend the filing deadline “for cause” or to obtain additional one-year extensions of time to pay. Generally, Form 706 is required only if the deceased’s gross estate plus adjusted taxable gifts exceeds the exemption. But a return is required even if there’s no estate tax liability after taking all applicable deductions and credits. Even if an estate tax return isn’t required, executors may need to file one to preserve a surviving spouse’s portability election. Portability allows a surviving spouse to take advantage of a deceased spouse’s unused estate tax exemption amount, but it’s not automatic. To take advantage of portability, the deceased’s executor must make an election on a timely filed estate tax return that computes the unused exemption amount. Preparing an estate tax return can be a time consuming, costly undertaking, so executors should analyze the relative costs and benefits of a portability election. Generally, filing an estate tax return is advisable only if there’s a reasonable probability that the surviving spouse will exhaust his or her own exemption amount. In a tax identity theft scheme, a thief uses your personal information to file a fraudulent tax return early in the tax filing season and claim a bogus refund. You discover the fraud when you file your return and are informed by the IRS that the return has been rejected because one with your Social Security number has already been filed for the same tax year. While you should ultimately be able to prove that your return is the legitimate one, tax identity theft can cause major headaches to straighten out and significantly delay your refund. Filing early may be your best defense: If you file first, it will be the tax return filed by a would-be thief that will be rejected — not yours. To file your tax return, you must have received all of your W-2s and 1099s. January 31 was the deadline for employers to issue 2018 Form W-2 to employees and, generally, for businesses to issue Form 1099 to recipients of any 2018 interest, dividend or reportable miscellaneous income payments. If you haven’t received a W-2 or 1099, first contact the entity that should have issued it. If that doesn’t work, you can contact the IRS for help. What are other benefits of filing early? Besides protecting yourself from tax identity theft, the most obvious benefit of filing early is that, if you’re getting a refund, you’ll get that refund sooner. The IRS expects more than nine out of ten refunds to be issued within 21 days. But even if you owe tax, filing early can be beneficial. You still won’t need to pay your tax bill until April 15, but you’ll know sooner how much you owe and can plan accordingly. Keep in mind that some taxpayers who typically have gotten refunds in the past could find themselves owing tax when they file their 2018 return due to tax law changes under the Tax Cuts and Jobs Act (TCJA) and reduced withholding from 2018 paychecks, even if their taxes went down. If you have questions about tax identity theft or would like help filing your 2018 return early, please contact us at 508-888-2000 or at info@fjhcpa.com . While the new Form 1040 essentially does fit on a postcard, the six new schedules that accompany it now may lead to additional complications. And the TCJA has changed many tax breaks. We can help you ensure you file an accurate return that takes advantage of all of the breaks available to you. Generally, if you’re "domiciled" in a state, you’re subject to that state’s income tax on your worldwide income. Your domicile isn’t necessarily where you spend most of your time. Rather, it’s the location of your "true, fixed, permanent home" or the place "to which you intend to return whenever absent." Your domicile doesn’t change — even if you spend little or no time there — until you establish domicile elsewhere. Residence, on the other hand, is based on the amount of time you spend in a state. You’re a resident if you have a "permanent place of abode" in a state and spend a minimum amount of time there — for example, at least 183 days per year. Many states impose their income taxes on residents’ worldwide income even if they’re domiciled in another state. Under the law of each state, tax credits are available only with respect to income taxes that are "properly due" to another state. But, when two states each claim you as a domiciliary, neither believes that taxes are properly due to the other. To avoid double taxation in this situation, you’ll need to demonstrate your intent to abandon your domicile in one state and establish it in the other. The dawning of 2019 means the 2018 income tax filing season will soon be upon us. After year end, it’s generally too late to take action to reduce 2018 taxes. Business owners may, therefore, want to shift their focus to assessing whether they’ll likely owe taxes or get a refund when they file their returns this spring, so they can plan accordingly. With the biggest tax law changes in decades — under the Tax Cuts and Jobs Act (TCJA) — generally going into effect beginning in 2018, most businesses and their owners will be significantly impacted. So, refreshing yourself on the major changes is a good idea. -Drops of individual income tax rates ranging from 0 to 4 percentage points (depending on the bracket) to 10%, 12%, 22%, 24%, 32%, 35% and 37%. -A new 20% qualified business income deduction for eligible owners (the Section 199A deduction). -Changes to many other tax breaks for individuals that will impact owners’ overall tax liability. -Replacement of graduated corporate rates ranging from 15% to 35% with a flat corporate rate of 21%. -Replacement of the flat PSC rate of 35% with a flat rate of 21%. -Repeal of the 20% corporate alternative minimum tax (AMT). -Doubling of bonus depreciation to 100% and expansion of qualified assets to include used assets. -Doubling of the Section 179 expensing limit to $1 million and an increase of the expensing phase-out threshold to $2.5 million. -A new tax credit for employer-paid family and medical leave. -A new disallowance of deductions for net interest expense in excess of 30% of the business’s adjusted taxable income (exceptions apply). -New limits on net operating loss (NOL) deductions. -Elimination of the Section 199 deduction (not to be confused with the new Sec.199A deduction), which was for qualified domestic production activities and commonly referred to as the “manufacturers’ deduction”. -A new rule limiting like-kind exchanges to real property that is not held primarily for sale (generally no more like-kind exchanges for personal property). -New limitations on deductions for certain employee fringe benefits, such as entertainment and, in certain circumstances, meals and transportation. Keep in mind that additional rules and limits apply to the rates and breaks covered here. Also, these are only some of the most significant and widely applicable TCJA changes; you and your business could be affected by other changes as well. Contact us at 508-888-2000 or info@fjhcpa.com to learn precisely how you might be affected, and for help preparing for your 2018 tax return filing — and beginning to plan for 2019, too. So the real question is, how are you affected? As you can see, the TCJA changes for individuals are dramatic. Many rules and limits apply, so contact us at 508-888-2000 at any time to find out the particulars of your situation. We can also tell you if any other provisions affect you, and help you begin preparing for your 2018 tax return filing and 2019 tax planning. 1. All events have occurred that establish the taxpayer’s liability. 2. The amount of the liability can be determined with reasonable accuracy. Generally, the last requirement isn’t an issue; it’s satisfied when an employee performs the services required to earn a bonus. But the first two requirements can delay your tax deduction until the year of payment, depending on how your bonus plan is designed. For example, many bonus plans require an employee to still be an employee on the payment date to receive the bonus. Even when the amount of each employee’s bonus is fixed at the end of the tax year, if employees who leave the company before the payment date forfeit their bonuses, the all-events test isn’t satisfied until the payment date. Why? The business’s liability for bonuses isn’t fixed until then. Fortunately, it’s possible to accelerate deductions with a carefully designed bonus pool arrangement. According to the IRS, employers may deduct bonuses in the year they’re earned — even if there’s a risk of forfeiture — as long as any forfeited bonuses are reallocated among the remaining employees in the bonus pool rather than retained by the employer. Under such a plan, an employer satisfies the all-events test because the aggregate bonus amount is fixed at the end of the year. It doesn’t matter that amounts allocated to specific employees aren’t determined until the payment date. So does your current bonus plan allow you to take 2018 deductions for bonuses paid in early 2019? If you’re not sure, contact us at 508-888-2000. We can review your situation and determine when you can deduct your bonus payments. If you’re an accrual taxpayer but don’t qualify to accelerate your bonus deductions this time, we can help you design a bonus plan for 2019 that will allow you to accelerate deductions when you file your 2019 return next year. Confirm you can still benefit from itemizing: Last year’s Tax Cuts and Jobs Act (TCJA) didn’t put new limits on or suspend the charitable deduction, like it did to many other itemized deductions. Nevertheless, it will reduce or eliminate the tax benefits of charitable giving for many taxpayers this year. Itemizing saves tax only if itemized deductions exceed the standard deduction. For 2018 through 2025, the TCJA significantly increases the standard deduction, to $24,000 for married couples filing jointly, $18,000 for heads of households, and $12,000 for singles and married couples filing separately. The nearly doubled standard deduction combined with the new limits or suspensions of some common itemized deductions means you may no longer have enough itemized deductions to exceed the standard deduction. And if that’s the case, your donations won’t save you tax. So before you make any year-end charitable gifts, total up your potential itemized deductions for the year, including the donations you’re considering. If the total is less than your standard deduction, your year-end donations won’t provide a tax benefit. You might, however, be able to preserve your charitable deduction by “bunching” donations into alternating years. This can allow you to exceed the standard deduction and claim a charitable deduction (and other itemized deductions) every other year. Meet the delivery deadline: To be deductible on your 2018 return, a charitable gift must be made by Dec. 31, 2018. According to the IRS, a donation generally is “made” at the time of its “unconditional delivery.” The delivery date depends in part on what you donate and how you donate it. Here are a few examples for common donations: Check. The date you mail it. Credit card. The date you make the charge. Stock certificate. The date you mail the properly endorsed stock certificate to the charity. Make sure the organization is “qualified”: To be deductible, a donation also must be made to a “qualified charity” — one that’s eligible to receive tax-deductible contributions. The IRS’s online search tool, Tax Exempt Organization Search, can help you easily find out whether an organization is eligible to receive tax-deductible charitable contributions. You can access this tool at http://bit.ly/2gFacut Information about organizations eligible to receive deductible contributions is updated monthly. Remember that political donations aren’t deductible. Also, crowdfunding pages such as GoFundMe are typically nondeductible unless they are to a qualified charitable organization. IRA considerations: Sometime you can receive a tax benefit for a charitable contribution while using the standard deduction. If you are over 70 ½ years old and are taking a required minimum distribution, you can make what is called a Qualified Charitable Distribution or QCD for short. With a QCD, your distribution (or a portion of it) is paid directly to a qualified charity. That amount given to the charity would not be taxable. However, if you do end up itemizing to go along with QCD you cannot take the deduction for the amount given directly to the charity as you already received the benefit. We’ve discussed only some of the rules for the charitable deduction; many others apply. We can answer any questions you have about the deductibility of donations or changes to the standard deduction and itemized deductions at 508-888-2000. Generally, money or other property received by gift or inheritance is excluded from the recipient’s income for federal tax purposes. But there’s an exception for gifts or bequests to employees: Under Internal Revenue Code Section 102(c), the exclusion doesn’t apply to “any amount transferred by or for an employer to, or for the benefit of, an employee.” Certain gifts to employees aren’t taxable, including “de minimis” fringe benefits, employee achievement awards and qualified disaster relief payments. Otherwise, the IRS generally views transfers to employees as “supplemental wages” subject to income and payroll taxes. Despite Sec. 102(c), it may be possible to make a gift to an employee that avoids income taxes. According to the U.S. Supreme Court, such a gift must be made under “detached and disinterested generosity” or “out of affection, respect, admiration, charity or like impulses.” In contrast, if a gift is intended to reward an employee for past performance or serve as an incentive for future performance, it’s considered compensation and is subject to income and payroll taxes. Unfortunately, the intent behind a gift can be difficult to prove. Keep in mind that treating a gift or bequest as compensation isn’t necessarily a bad thing. In some cases, the income and payroll taxes may be less severe than the gift, estate and generation-skipping transfer taxes that otherwise would apply. And you can always “gross up” the transferred amount to ensure that the recipient has enough cash to pay the taxes. Contact us if you’re considering including employees in your estate plan. Avoid surprise capital gains; unlike with stocks, you can’t avoid capital gains on mutual funds simply by holding on to the shares. Near the end of the year, funds typically distribute all or most of their net realized capital gains to investors. If you hold mutual funds in taxable accounts, these gains will be taxable to you regardless of whether you receive them in cash or reinvest them in the fund. 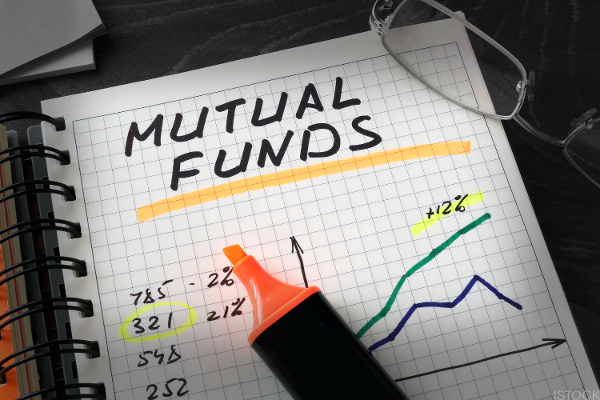 Avoid buying into a mutual fund shortly before it distributes capital gains and dividends for the year. There’s a common misconception that investing in a mutual fund just before the ex-dividend date (the date by which you must own shares to qualify for a distribution) is like getting free money. In reality, the value of your shares is immediately reduced by the amount of the distribution. So you’ll owe taxes on the gain without actually making a profit. If you plan to sell mutual fund shares that have appreciated in value, consider waiting until just after year end so you can defer the gain until 2019 — unless you expect to be subject to a higher rate next year. In that scenario, you’d likely be better off recognizing the gain and paying the tax this year. When you do sell shares, keep in mind that, if you bought them over time, each block will have a different holding period and cost basis. To reduce your tax liability, it’s possible to select shares for sale that have higher cost bases and longer holding periods, thereby minimizing your gain (or maximizing your loss) and avoiding higher-taxed short-term gains. Think beyond just taxes: Investment decisions shouldn’t be driven by tax considerations alone. For example, you need to keep in mind your overall financial goals and your risk tolerance. But taxes are still an important factor to consider. Contact us at 508-888-2000 to discuss these and other year-end strategies for minimizing the tax impact of your mutual fund holdings. Appreciated publicly traded stock you’ve held more than one year is long-term capital gains property. If you donate it to a qualified charity, you may be able to enjoy two tax benefits; If you itemize deductions, you can claim a charitable deduction equal to the stock’s fair market value, and you can avoid the capital gains tax you’d pay if you sold the stock. Donating appreciated stock can be especially beneficial to taxpayers facing the 3.8% net investment income tax (NIIT) or the top 20% long-term capital gains rate this year. First, remember that the Tax Cuts and Jobs Act nearly doubled the standard deduction, to $12,000 for singles and married couples filing separately, $18,000 for heads of households, and $24,000 for married couples filing jointly. The charitable deduction will provide a tax benefit only if your total itemized deductions exceed your standard deduction. Because the standard deduction is so much higher, even if you’ve itemized deductions in the past, you might not benefit from doing so for 2018. Second, beware that donations of long-term capital gains property are subject to tighter deduction limits — 30% of your adjusted gross income for gifts to public charities, 20% for gifts to nonoperating private foundations (compared to 60% and 30%, respectively, for cash donations). Finally, don’t donate stock that’s worth less than your basis. Instead, sell the stock so you can deduct the loss and then donate the cash proceeds to charity. For charitably inclined taxpayers who own appreciated stock and who’ll have enough itemized deductions to benefit from itemizing on their 2018 tax returns, donating the stock to charity can be an excellent year-end tax planning strategy. This is especially true if the stock is highly appreciated and you’d like to sell it but are worried about the tax liability. Please contact us with any questions you have about minimizing capital gains tax or maximizing charitable deductions in regards to your specific situation. Section 179 expensing is valuable because it allows businesses to deduct up to 100% of the cost of qualifying assets in Year 1 instead of depreciating the cost over a number of years. Sec. 179 expensing can be used for assets such as equipment, furniture and software. Beginning in 2018, the TCJA expanded the list of qualifying assets to include qualified improvement property, certain property used primarily to furnish lodging and the following improvements to nonresidential real property: roofs, HVAC equipment, fire protection and alarm systems, and security systems. The maximum Sec. 179 deduction for 2018 is $1 million, up from $510,000 for 2017. The deduction begins to phase out dollar-for-dollar for 2018 when total asset acquisitions for the tax year exceed $2.5 million, up from $2.03 million for 2017. For qualified assets that your business places in service in 2018, the TCJA allows you to claim 100% first-year bonus depreciation -- compared to 50% in the first three quarters of 2017. This break is available when buying computer systems, software, machinery, equipment and office furniture. The TCJA has expanded eligible assets to include used assets; previously, only new assets were eligible. However, due to a TCJA drafting error, qualified improvement property will be eligible only if a technical correction is issued. Also be aware that, under the TCJA, certain businesses aren’t eligible for bonus depreciation in 2018, such as real estate businesses that elect to deduct 100% of their business interest and auto dealerships with floor plan financing (if the dealership has average annual gross receipts of more than $25 million for the three previous tax years). If you choose to take bonus depreciation and live in Massachusetts, you will not be allowed to take this deduction on the state level and have to depreciate the property over time. Please be aware of one item when considering purchasing an asset before the end of the year if you are considering trading in an asset for another. The TCJA did revoke a benefit to many taxpayers with machinery, equipment, vehicles, etc. – the ability to perform a like-kind exchange (also known as a 1031 exchange) with personal property. Previously, businesses could defer any gain upon a trade-in of a piece of personal property if it was in exchange for a like-kind piece of personal property. Now, that gain must be recognized upon trade-in. Keep in mind that Sec. 179 expensing and bonus depreciation can also be used for business vehicles. So purchasing vehicles before year end could reduce your 2018 tax liability. But, depending on the type of vehicle, additional limits may apply. Investing in business assets is a traditional and powerful year-end tax planning strategy, and it might make even more sense in 2018 because of the TCJA enhancements to Sec. 179 expensing and bonus depreciation. If you have questions about these breaks or other ways to maximize your depreciation deductions, please contact us at 508-888-2000.